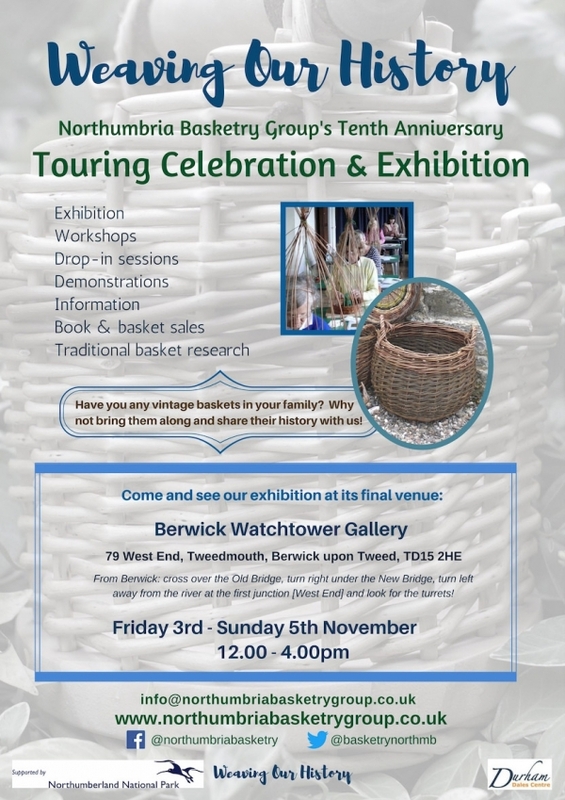 Northumbria Basketry Group is ten years old this year and we want to celebrate our achievements and make both our group and the craft of basketry known to a much wider audience. We are keen to show that basketry is not only an extremely significant heritage craft but that it is also an enjoyable, accessible and contemporary creative pursuit. We aim to show that beginners can realistically expect to make positive progress and become skilled basketmakers and willow weavers. In order to do this, we are in the process of organising a touring exhibition called ‘Weaving Our History’. The exhibition will visit five venues in County Durham and Northumberland over the course of the late spring, summer and autumn of 2017 and will include a variety of associated activities. The exhibition will tell the story of NBG’s development from its earliest days up to the present time. 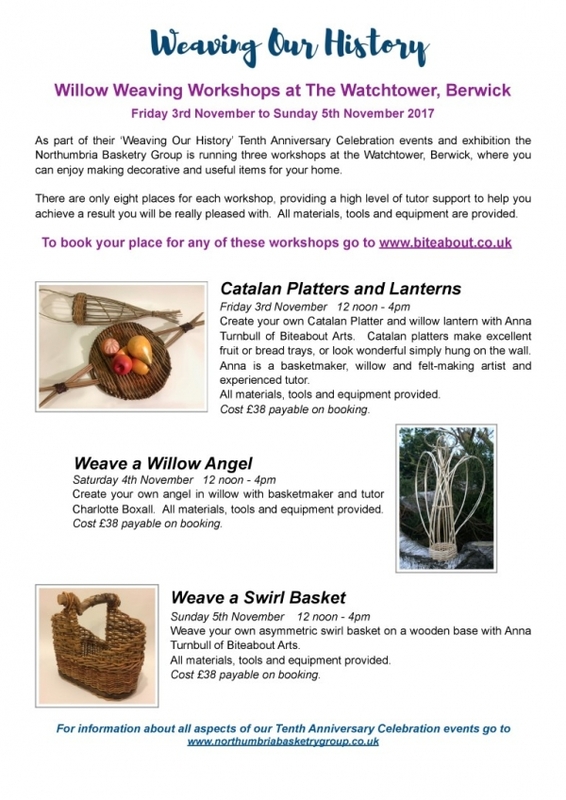 We will be displaying a wide variety of baskets, sculptures and other pieces woven by our members using willow, rush, and other materials, along with background information and photographs. 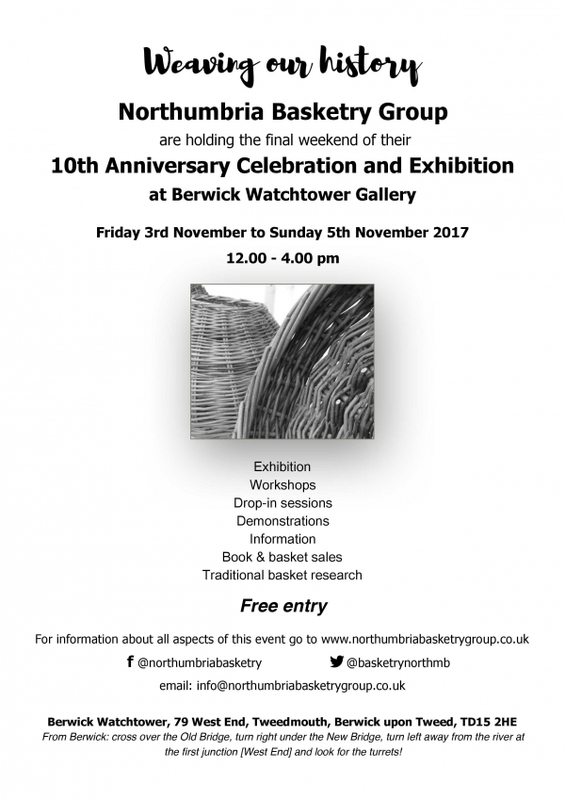 We will be featuring baskets woven exclusively with willow grown on our own willow plot near Rothbury and the exhibition will also include a display of members’ ‘first baskets’ as well as replicas of some traditional local baskets. Baskets will be available for sale during the exhibition. There will be drop-in taster sessions at each venue as well as half-day workshops which will need to be pre-booked to guarantee a place. Information about these is given in the images below. To book your place on a workshop go to www.biteabout.co.uk. 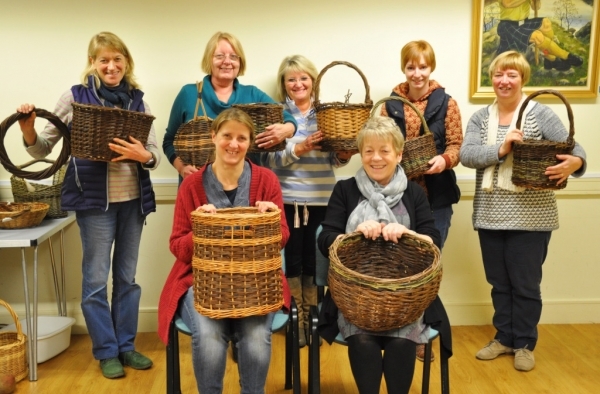 Northumbria Basketry Group is taking part in the Basketmakers’ Association’s Traditional Basketry Project which is collecting information about traditional local British baskets. Visitors to each venue are invited to bring their baskets along to be recorded and photographed and this information will then go into a central archive for the future. We are also delighted to be launching a new publication by professional basketry tutor and one of Northumbria Basketry Group’s founder members, Liz Balfour. 'The Fishing Baskets of Northumbria' relates the story of the Northumbrian fishwives' back creel and other baskets traditionally used in the fishing industry along the North East coast of England and southern Scotland. Liz’s book will be on sale during the exhibition.